Hi, I’m Emma Bovington (like the tank museum) the new owner of Doris Loves. I’m married to Dom, my wonderful geeky husband. We have 3 doggies- Poppy, Skye & Caesar and 1 foster dog at the moment – Princess – a long story that involves a 3,200 mile round trip in a car to get our passports stolen all in order to save a dog! (Yes we are quite that mad!!) My mum, Sue lives in our back garden. When I say back garden it’s not like stig of the dump or something, she has a lovely detached annex. 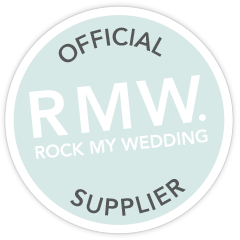 I currently run Uncommon Weddings a relatively new company that specialises in workshops and one2one sessions on DIY weddings, budgeting or anything that a couple wants some help with, whether its trouble shooting or product sourcing. I love what I do but when I found out that Doris Loves was up for sale I just could not turn down the opportunity of owning the business. 2017 is going to be a BIG YEAR for the Bovingtons. A new company for me, and a new start for Dom. Dom decided to become self employed so left the car industry where he was an IT bod for 14 years. In a similar vein to me the year before when I left the civil service after 15 years – where I did a variety of jobs, from passport control, training airline staff through to inspections and auditing! I’ll be the creative, the FD, marketing bod and the admin for Doris Loves with my ever supportive husband being CTO and just the general dogs body! A bit more about me:- I love sharks, storms (but maybe not together), shoes, handbags (far too many to count) and football – I’m an avid season ticket holder of the red side in Manchester! I’m a clarinet player who almost went professional but decided that playing it for the love of it was much more my thing. I’m super organised, love planning and lists but am also creative and love coming up with ideas for people. I’m very excited about my new venture and look forward to meeting you all! Doris Loves started in 2012 after the founders Amanda’s own wedding. During her wedding planning Amanda was one of the UK’s biggest and best wedding blogs Rock My Wedding Real Bride’s. Writing a post every six weeks about her planning process – which lead to a lot of exposure and a lot of requests from other brides wishing to hire items from her big day. Doris Loves began. Since then it has grown and grown, leading Amanda to leave her career in teaching to pursue the development of Doris Loves. In four years that Amanda ran Doris Loves, with the help of her amazing husband and sister, it’s range of products increased hugely. Its services were featured on all of the major wedding blogs and in all the big wedding magazines. Doris Loves built up an outstanding reputation within the industry with Brides, Press and other Wedding businesses; including venues and wedding planners. However, in those four-years Amanda also had two beautiful daughters and her life became somewhat more hectic than when she started Doris Loves. Therefore, she felt the time had come for Doris Loves to be taken on by someone new, with lots of ideas. Emma is that lady.